Are you wondering “Will Therapy Help Me?”. Society often tells us that you must have a huge problem or strange issues to see a therapist. Too often this can result in us missing out on help that we could really use and unnecessarily prolonging our emotional suffering. If you’re wondering whether therapy might help you, we’ve listed the best 15 questions to ask yourself, based on some of the common reasons that people seek counselling below. To find an affordable therapist online or anywhere around the UK, find your best match here. If you're struggling to choose, our tips on finding the right therapist might help. 1. Are you not feeling yourself lately? You don’t have to know exactly what is wrong to attend therapy. It is perfectly fine to book an appointment on the basis that you just feel off-kilter, or you are finding day-to-day life challenging. Perhaps you are tired all the time, have lost interest in your social life, or can’t seem to care about your job anymore. Maybe you are experiencing racing, anxious thoughts or find it difficult to think, feel or react in ways you would like to. Booking a session with a therapist can help you to feel yourself again. 2. Do you feel stuck in a rut? You may feel trapped or stuck in a place or situation that isn’t where you want to be. Perhaps you keep repeating behaviour no matter how often you tell yourself you ‘won’t do that again’. Therapy can help you to begin to make sense of what underlies what is going on and understand the deeper reasons you are making choices that don’t work for you. 3. Do you worry that anxiety is interfering with your daily life? Anxiety is a persistent sense of worry, tension or dread. Whilst it is normal to feel stessed when facing a particular situation, anxiety can interfere with your daily life and has no obvious cause. It may feel like a free-floating sensation and include feelings of fear, helplessness, panic, being out of control and obsessiveness. Untreated, anxiety disorders can be debilitating, affecting work, relationships and family life. A good psychotherapist, psychologist or cognitive behaviour therapist creates an environment for you to be able to express what you're going through and can help you to find ways to understand and manage your anxiety. 4. Are you struggling to handle stress? Perhaps you know exactly what is causing you stress but your usual coping methods aren’t working. Or maybe something stressful has happened but you just can’t bounce back this time. A relationship breakdown, bereavement, divorce, moving jobs or home, redundancy, or your family circumstances changing can all cause stress and take time to adjust to. Stress left unchecked can develop into anxiety, an anxiety disorder, or even depression. A therapist can help you to manage stress more effectively. 5. Do you want to understand yourself better? Sometimes we can struggle to understand the ways we think, feel and act, even though we can understand others. You might feel that you don’t understand why you react the ways you do in certain situations or how you relate to certain people. Perhaps you want to get to know yourself better and become more authentic in your daily life. Therapy can be a safe place to find new perspectives and understanding about yourself. 6. Are you feeling overwhelmed? It might be a redundancy, a new job, divorce, a breakup, having a child, or any other big event that life throws your way. Perhaps you aren’t sure exactly why you feel more stressed but you know that you are feeling increasingly overwhelmed. Life changes affect our psychological wellbeing, and therapy can give you tools to cope when it feels too much. Does counselling work? And could it help you? 7. Are your thoughts or emotions out of control? If you find that you are overthinking, that you can't control your thoughts, and/or your thoughts are negative and illogical, it's possible you are suffering anxiety or depression. Even if it turns out it's just stress, a chat with a counsellor or a therapist can offer helpful support. 8. Do you feel that nobody in your life understands you? When you feel misunderstood, you can often feel lonely or alienated. It might be that you find you are surrounding yourself with people who don’t understand you or that you struggle to make meaningful connections with others. A good therapist listens empathetically, which means that they try hard to understand your perspective. Counselling can help you to find new ways of connecting with others and to address why you feel misunderstood. 9. Do you have somebody you can turn to for impartial help? Sometimes we find ourselves isolated and alone in life, or surrounded by people who are too emotionally invested in our decisions to give impartial support. It can help to have someone impartial and empathetic to talk to. It might be that you are struggling to know what you should do about a certain decision or situation because you have received lots of different advice from others. A counsellor, psychotherapist or a psychologist can provide a confidential, non-judgmental and unbiased space for you to talk honestly about anything that is troubling you. 10. Is something from the past haunting you? Just when we think we are fine in life, something small can trigger a long-forgotten memory. Therapy is excellent at helping you process the emotions around past experiences and move on. 11. Do you have a habit or an addiction that you are hiding from others? Suffering with habits or addictions alone is lonely and difficult. Whether it's overworking, overeating, or an unhealthy relationship with alcohol or drugs, addiction can undermine our relationships, careers and lives. Talking about your troubles in a safe, impartial space with a therapist is a sign of strength. If you feel that you need help, act now. 12. Do you constantly feel not good enough? Low self-esteem can have negative effects on your relationships, career or social life and is also one of the leading causes of depression. Raising your self-esteem can help to improve your career prospects, your relationships, and your sense of satisfaction with life. Talking to a counsellor can help to see yourself from new perspectives. 13. Is everyone around you saying they are worried about you? Sometimes we can be so caught up in our emotions that we can’t see our own behaviour has changed. If friends, family, and colleagues you trust are worried about you, it can't hurt to book a first session with a therapist. The safety of the therapy room can help you to pay attention to how you are really thinking and feeling and to decide whether these worries might be justified. 14. Do you want to feel listened to? It might be that you are in a situation where you don’t feel you can talk about your problems with others. Perhaps you have had a breakup and feel too guilty to talk about what has happened with friends or family who know your prevous partner or you might be struggling with painful thoughts or feelings that you don’t feel comfortable sharing with your friends and family. A therapist offers a willing, unbiased ear to talk to. 15. Do you think that your relationships aren’t as good as they could be? You might find that you can’t maintain a long term relationship or that you struggle with intimacy. Perhaps you are having problems getting on with colleagues or your relationship with your children is troubled. Talking to a psychotherapist or a psychologist can help you to work on the underlying causes for your relationship issues. So, is therapy for you? In fact, therapy is for everyone. As humans, it’s usual to feel confused, anxious or challenged at times in life. Therapy gives us insight into who we are, the problems we are facing and new perspectives on how to tackle them - so that we can feel stronger and overcome the problems that hold us back from enjoying life. There’s no single reason to book counselling and no one reason for seeking therapy is more valid than others. If you are still asking yourself ‘do I need counselling?’, or if you are experiencing issues or symptoms that don’t sound like the above, please do talk to our team using the chat box. We’re happy to let you know if we think therapy can help. 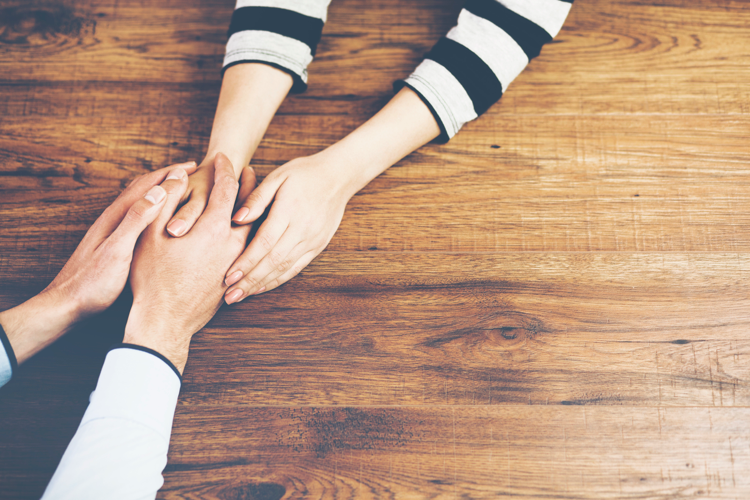 If you'd like to know how to find the right therapist, read our article here. If you feel ready to start counselling, you can book therapy online now with a trained, professional therapist using our platform here.